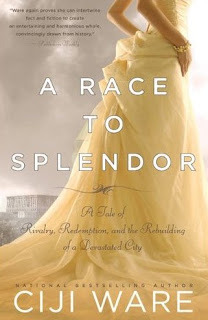 Passages to the Past: exciting future releases in 2011!! Via Karleen Koen's Website: This fourth novel, Before Versailles , is one I've been trying to write for a long time. But the story was too large, and I gave up, breaking a piece of the tale away to use in Dark Angels . Then I realized I had to break the whole story into smaller pieces. 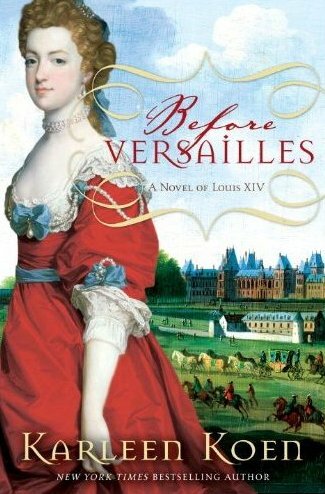 Before Versailles is one of the pieces, the largest one. Then in December the Japanese invade. Connie and her family flee, sailing south on their yacht toward Singapore, where the British are certain to stand firm against the Japanese. En route, in the company of friends, they learn that Singapore is already under siege. Increasingly desperate and short of food, the yacht’s inhabitants make their perilous way from island to island. When a fighter plane crashes into the sea, they rescue its Japanese pilot. For Connie, that’s when everything changes. In the suffocating confines of the boat, with her life upended, Connie discovers a new kind of freedom and an exciting, dangerous, exhilarating love. SYNOPSIS: Violante isn’t supposed to be here, in one of the grandest courts of Renaissance Italy. 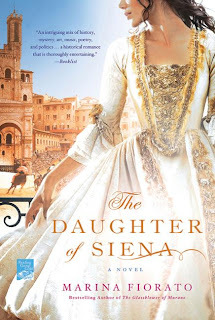 She isn’t supposed to be a lady-in-waiting to the beautiful Lucrezia Borgia. 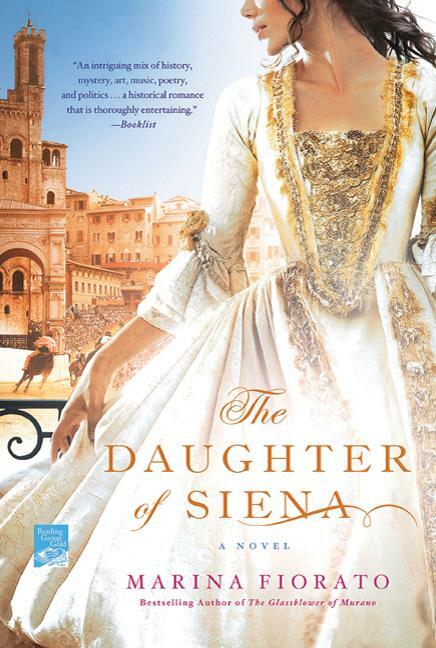 But the same secretive politics that pushed Lucrezia’s father to the Vatican have landed Violante deep in a lavish landscape of passion and ambition. Violante discovers a Lucrezia unknown to those who see only a scheming harlot, and all the whispers about her brother, Cesare Borgia, never revealed the soul of the man who dances close with Violante. But those who enter the House of Borgia are never quite the same when they leave—if they leave at all. Violante’s place in history will test her heart and leave her the guardian of dangerous secrets she must carry to the grave. SYNOPSIS: Amid the intrigue and danger of 18th-century Italy, a young woman becomes embroiled in romance and treachery with a rider in the Palio, the breathtaking horse race set in Siena. SYNOPSIS: Effie Gray, a beautiful and intelligent young socialite, rattled the foundations of England’s Victorian age. Married at nineteen to John Ruskin, the leading art critic of the time, she found herself trapped in a loveless, unconsummated union after Ruskin rejected her on their wedding night. On a trip to Scotland she met John Everett Millais, Ruskin’s protégé, and fell passionately in love with him. In a daring act, Effie left Ruskin, had their marriage annulled and entered into a long, happy marriage with Millais. Suzanne Fagence Cooper has gained exclusive access to Effie’s previously unseen letters and diaries to tell the complete story of this scandalous love triangle. In Cooper’s hands, this passionate love story also becomes an important new look at the work of both Ruskin and Millais with Effie emerging as a key figure in their artistic development. 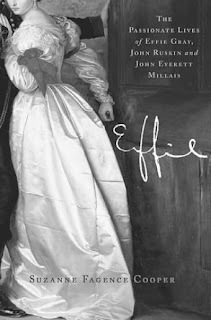 Effie is a heartbreakingly beautiful book about three lives passionately entwined with some of the greatest paintings of the pre-Raphaelite period. SYNOPSIS: In the summer of 1493, Rodrigo Borgia, Alexander VI, has been pope for almost a year. Having played a crucial role in helping him ascend the throne of Saint Peter, Francesca, haunted by the shadows of her own past, is now charged with keeping him there. As court poisoner to the most notorious and dangerous family in Italy, this mistress of death faces a web of danger, intrigue, and deceit that threatens to extinguish the light of the Renaissance. From the hidden crypts of 15th century Rome to its teeming streets alive with sensuality, obsession, and treachery, Francesca must battle the demons of her own dark nature to unravel a plot to destroy the Borgias, seize control of Christendom, and plunge the world into eternal darkness. SYNOPSIS: A riveting novel of Eleanor of Aquitaine’s early adult years from the author of The Virgin Widow. SYNOPSIS: Of the women in King Richard’s life, she is the least known—and the most powerful. During the Third Crusade, deaths from fever and starvation are common, but King Richard the Lion-Hearted has a secret ally against these impassable enemies—a mysterious healer by the name of Edythe. She was sent to him by his mother Eleanor, and Richard first assumes that Edythe is a spy. But when her medical knowledge saves his life, she becomes an indispensable member of his camp—even as his loyal soldiers, suspicous of her talent for warding off death, call her a witch. SYNOPSIS: The moving, tragic story of Charles I, the last absolute monarch of England, during his imprisonment in Carisbrooke Castle on the Isle of Wight. Richly drawn and inspired by the New York Times bestselling author’s own experience living on the Isle of Wight, this dramatic retelling brings to life the cavalier king whom Cromwell deposed. But even more fascinating than the account of royal hopes and misfortunes is the tale of a charming servant girl who is as romantic and tender in love as she is bold and resourceful in plotting the king’s escape. SYNOPSIS: First published in 1946, Elizabeth and the Prince of Spain continues the “vivid, psychologically brilliant” (Times Literary Supplement) journey begun in Young Bess and Elizabeth, Captive Princess. Philip, Prince of Spain, the unwilling bridegroom of Queen Mary, has been warned about the young Elizabeth. According to all reports, she is a heretic, a rebel, and a potential enemy—but she’s also alluring. Accused of treachery by Mary, Elizabeth finds herself teetering between Mary’s vengeance and Philip’s uneasy ardor, with her life in the balance. SYNOPSIS: In a country simmering with witchcraft and unholy alliances, Guinevere joins forces with her husband, King Arthur, to gain control of Britain’s warring knights. She presides over fabled heroes—including Gawain, Merlin, Tristan and Isolde—and treacherous villains, including Morgan le Fey and Lancelot. Vibrantly human, she reigns as a woman poised to discover the true peril and promise of the human heart. The second novel of this Arthurian trilogy plays out the history and myth of the round table, brought to life through the words of an extraordinary queen. Three Maids for a Crown: A Novel of the Grey Sisters by Elle March Chase. Release Date: August 2, 2011. These all look great, but I definitely have Karleen Koen on my TBR list for 2011! Excellent! I love seeing all the future books, and these look good! Thanks for sharing. Love the sound of the next Kate Furnivall book! Looks like 2011 will be another great year, huh?!! What a lot of great reading to look forward to! I love the cover of the white Pearl! Several of these are going on the wish list. Thanks! Wow! These are all going on my wish list. Thanks, Amy. Wow - what a fun collection of books to come out! I'm so excited for Karleen Koen's newest book and 'Mary of Carisbrooke' but the others sound so wonderful. I'll have to extend and rearrange my wishlist now! I too am eager for the Karleen Koen book to come out - it's been on my wishlist ever since I first heard about it! How am I ever going to get these! I'll have to do an unbelievable amount of reading to be ready for all these great books. These all look so great but I'm especially excited about the Effie Gray one!